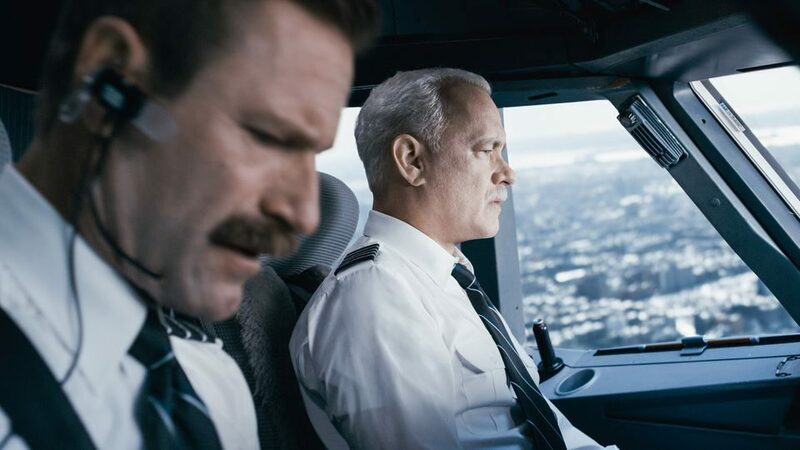 In my September Movie Preview, I questioned the purpose of (or more accurately, insulted the existence of) a Captain Sully Sullenberger biopic while seeing a Edward Snowden biopic as having potential and even be a notable movie that could inspire a more-relevant-than-ever dialogue about the surveillance state. Okay. I was wrong. Very, very wrong. Biopics about normal (or even extraordinary) people need to remember to be a good movie first. Even if the subject is relatively average, filmmakers have the same exact tricks to turn their life into a compelling feature as they do any fictional subject. While some might say making something overly stylized does not properly ‘respect’ a real world subject (and I’d disagree with that, but that’s a topic for another time), making a movie painfully wooden does even greater harm for their legacy. Snowden was flat on multiple levels. As a “cinematic experience,” director Oliver Stone kept it on a surprisingly lethargic keel, with only a few of his (formerly) signature flourishes and stylistic touches to breathe life into the proceedings. As a character, Snowden was pretty boring. Yes, he was a genius who worked for the CIA/NSA/government contractors, but his “actual” experiences as presented in the film were redundant at best. Snowden learns Government Job does underhanded things, quits Government Job, takes another Government Job, learns Government Job does underhanded things, etc. Were these the beats of his actual life? Maybe; I’m not going to do the research. But a movie requires something different, something greater, something more entertaining (if not necessarily ‘light’). Especially when your running time is an ungodly 134 minutes. Surprisingly, the defining moment of Snowden’s life feels like it gets the most shaft of anything in the movie. (Other than his arbitrary epilepsy.) By the time we finally get to him copying the files, we’ve slogged through nearly an hour and a half of “we get it” backstory – and we’ve actually stopped caring about what’s going to happen. When it finally does happen? This world-shocking incident still feels so rushed that we never get the emotional oomph. Oliver Stone cost us the tonal intensity that should have been this tantric money shot of him stealing and sneaking the files … in exchange for recreating Citizenfour and showing Snowden having the same fight with his girlfriend in different locations. When Eastwood finally gets to the recreation of the plane crash, it feels painstakingly real and respectably crafted. When Stone finally gets to the stealing of the data, it feels like just another insignificant moment in Snowden’s young life. So what could have worked for Snowden? Well, obviously, cut it down. So much of the film seems irrelevant. 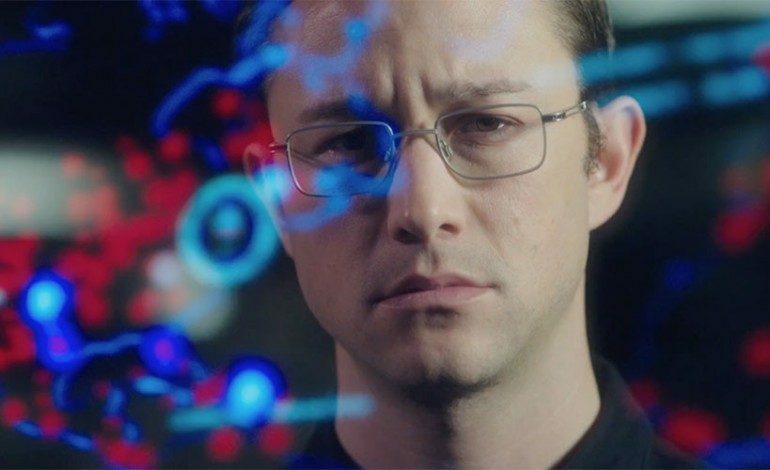 Snowden has this under-realized subplot of young Snowden’s soul being torn between the underused Nicolas Cage’s humble CIA librarian/historian Hank Forrester who believes in “Good Things” and the Rhys Ifan’s shady CIA professor Corbin O’Brien who supports “Bad Things.” Stone is no stranger to Mentor Fight. It’s how he made his bones in the 1980’s (Platoon, Wall Street). But why include it at all if Forrester ends up disappearing for the latter half of the movie? Additionally, why not combine the biopic with another genre, like the techno-thriller? (As the trailer made it seem like it would be.) Genre mashing is not uncommon with other genres, so why do so many biopics shy away from linking the subject’s “story” with more conventional genres that best suits their tale? Oliver Stone used to be a master of this. Nixon was a hallucinatory nightmare of a man who sold his soul; JFK was a paranoid mystery-thriller. But Snowden is too self-important to indulge in that level of artistry. There are moments here and there (such as when Corbin implies that he’s been spying on Snowden’s girlfriend on a teleconference where his face twice the size of Snowden’s entire body), but these are few and far between. This film lacked that overwhelming sense of suffocating paranoia that seemed natural for the story. Sully panicking about the NTSB investigation and whether he should and could have done something different with the plane has more of a sense of the walls closing in than Snowden, which is a movie with the real threat of the government of the US (and its allies) is trying to get you. Now sure, real life isn’t a techno-thriller (OR IS IT?!?) and biopics purport to be “based on a true story,” but the idea that Snowden had any commitment to real accuracy is a joke. Maintaining complete (or even mostly) accuracy is a joke for any biopic, especially this one. Maybe Snowden really hid the micro-SD card in a Rubik’s cube (based on the few articles I’ve read, no one really knows how he did it), but the sequence where Snowden “drops” the card with all the data on the floor and his One Black Friend covertly covers it with his foot because he somehow knew what he was doing… If you’re going to forgo realism for drama, at least do it where it can actually help. The other crucial issue is how to approach one’s subject. Sully was a bit easier to handle in that he’s an undisputed hero in a “Black and White World” sort of way. Yet even he expressed more doubt and concern and anxiety in Sully than Snowden, who betrayed his government and put all his family and friends at risk in Snowden. I recognize the tendency of loving one’s subject to a fault in a biopic, but a greyer figure requires (I’d even argue deserves) a more complicated portrait. Then again, when your movie ends with the real Edward Snowden doing his own glamour shots, you’re restrained from truly appreciating the inherent complexity in not just the character but the storytelling possibilities, which leads to a disappointingly simplistic (and way overlong) film.